This triangle scarf is designed for the newbie knitter. 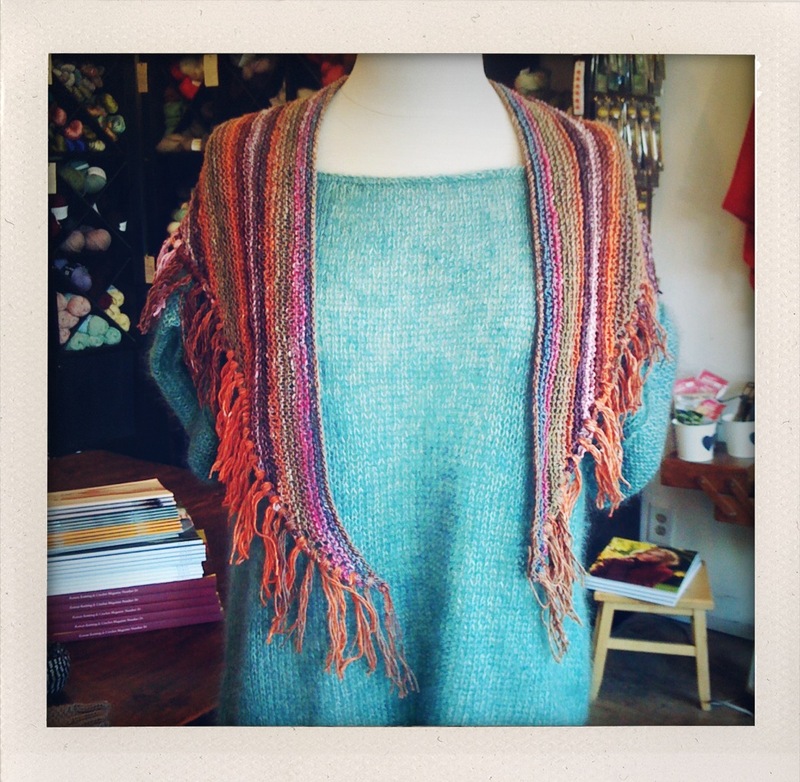 It is worked entirely in garter stitch (that means you knit every row), with simple yarn-over increases leaving little eyelets at the edge which are later used to attach the fringe to. 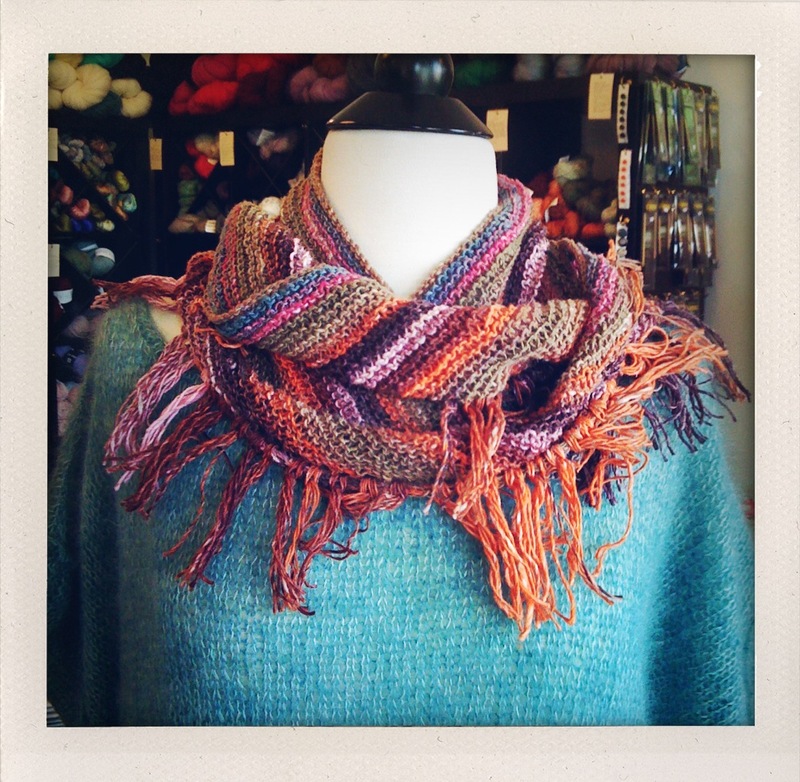 You can make one of these relatively quickly and using only 1 ball of Noro Taiyo Sock yarn. This yarn is self-striping, so all those beautiful color changes you see in the picture… the yarn did that, not me! Row 1: Slip 1, k1, yo, knit to end. Repeat row 1 until you have 13 stitches on the needle. Row 2: Slip 1, yo, k5, yo, knit to end. Repeat row 2 until you have 227 stitches on the needles. 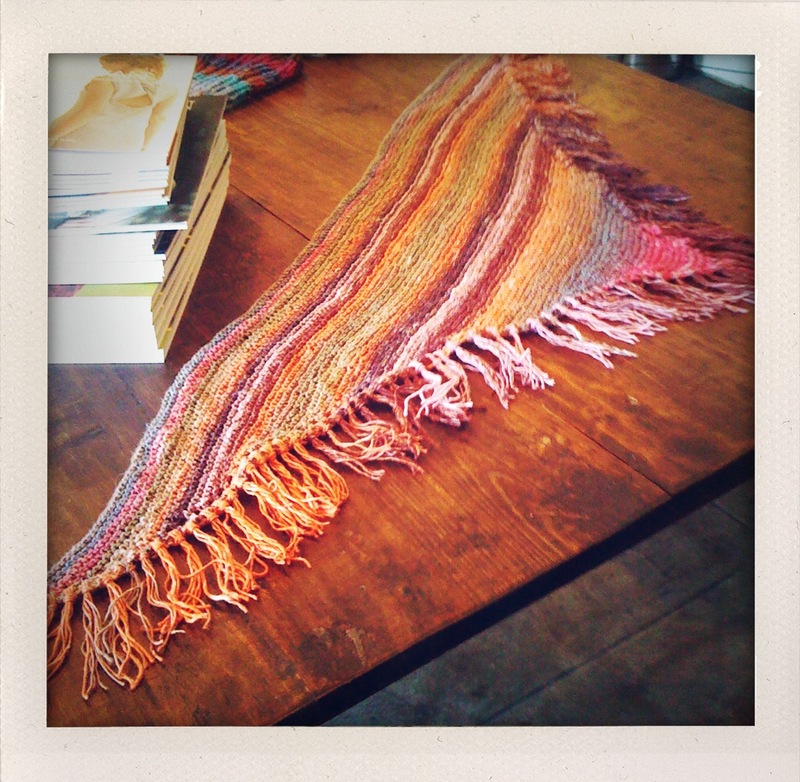 Cut many 6″ long pieces with of the leftover yarn. Take 3 strands, fold them over, and using a crochet hook, loop them through the inner eyelets (rather than the eyelets at the edge) of the scarf. Pull the ends through the loops, and pull them tight. Attach bunches of 3 strands to every inner eyelet, and to the only eyelets at the bottom point of the triangle.